The core muscles are paramount to your general health and wellbeing and in addition to that will be of huge benefit to your skiing performance assisting in balance, stability, recovery and injury prevention. All of these muscle groups are active in aiding stability of our joints and the wellbeing and injury prevention of all external joints and muscles. In skiing our lower back and other joints can take quite a hammering, especially when skiing the bumps, race training and during long teaching days. It is therefore incredibly important to include exercises to stabilise, strengthen and engage your core and lower back within your workouts and stretching sessions. These must not be confined to only the 6-pack muscles! Static and dynamic exercises have their place here as the static exercises will assist you in engaging muscle groups when needed allowing them to engage autonomously to regain or remain in balance. 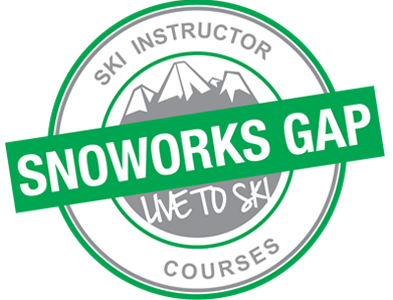 The dynamic exercises will strengthen the muscles and train them to react, fire and respond when under strain or repetitive use for your dynamic skiing movements. Again, like in my previous blog, it is not my intention to prescribe specific exercises or write a plan that you must follow. However some of the following are fantastic exercises and some of my favourites so give them a try. You will notice my suggested exercises involve free body movements and disciplined posture. This is imperative when activating the TVA muscles and try to avoid exercises where your feet are hooked under something as this prevents smaller muscle groups being engaged and strengthened and can cause the core muscles to allow bigger muscle groups (like hip flexors) to take the strain. This can also cause injury so best avoid these exercises. If you’re still doing 100 sit ups every morning with your feet hooked under the bed, then its time to re-address your core workout and improve your overall wellbeing and your skiing. Enjoy!